Where can I buy a Gâtine Box? First launched in July 2016 the Gâtine Box is a really good idea for a present because it gives the recipient the chance to choose what they prefer. Buying one for yourself or your family also provides an ideal way to find goods and services, things to do, places to eat and sleep in the Gâtine. The current Gâtine Box contains nearly 100 mini flyers for places which accept gâtinelles, a list and a map of where they are and some gâtinelles to spend. This changes as new businesses join, so for a completely up-to-date list it is best to look on the website. There are many places where you can buy a Gâtine Box ! 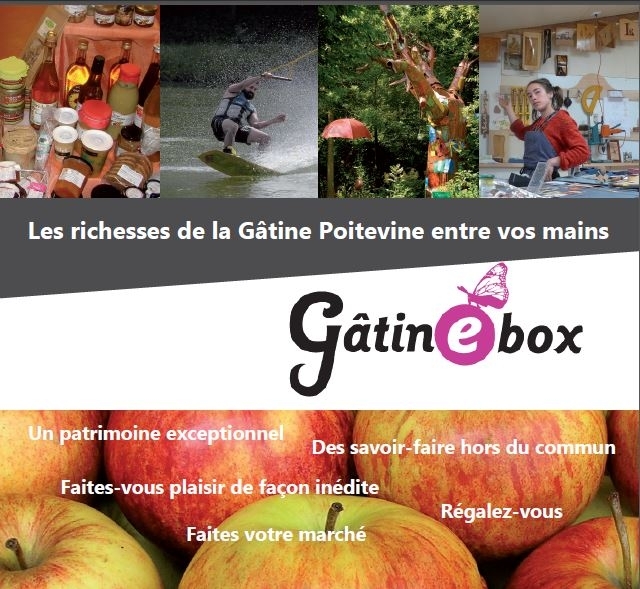 Buy a gatine box !